CERTIFIED! 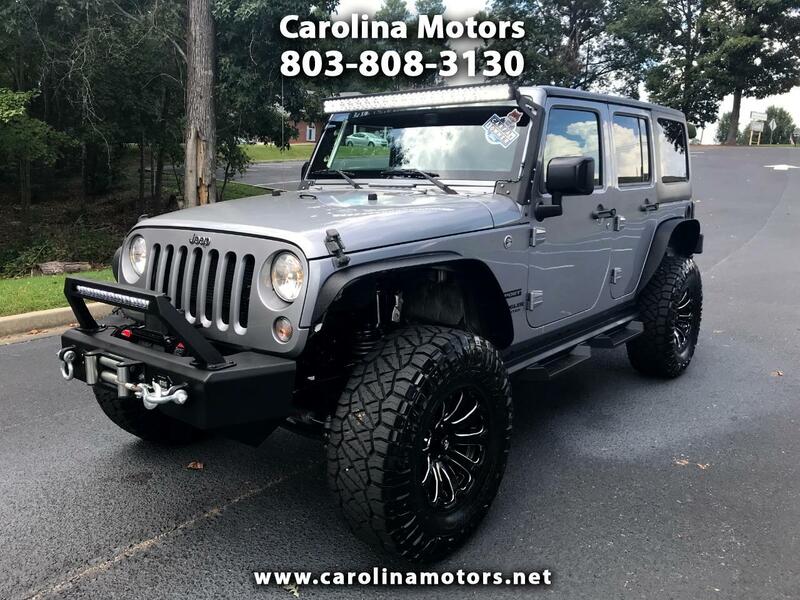 2016 Jeep Wrangler Sport Unlimited, one owner! 5 new tires and wheels, 2 1/2 inch lift, dual steering stabilizers, 35 inch Nitto tires, custom fender flares, light bar, front bumper with lights, winch, step rails, custom spare tire carrier, tow package, Bluetooth, power windows, power locks, satellite radio, cruise control, hardtop, cd player with auxiliary input, Never been off Road! See free carfax and more information at www.carolinamotors.net !